• Russia, the 2014 runners-up, needed a point to qualify ahead of opponents Bosnia and Herzegovina but got all three thanks to Daniil Kutuzov's winner nine seconds from time. That came 11 seconds after Nermin Kahvedžić had made it 1-1. • Latvia recovered from 3-1 down to draw 3-3 with the Netherlands. • Free-scoring Spain eased through to the finals, defeating FYR Macedonia 7-1 to make it three wins from three. La Roja also hit the woodwork six times. • Hungary finished as runners-up on goal difference at the expense of FYR Macedonia. Ákos Harnisch scored a hat-trick in an 8-2 victory over Switzerland, for whom Xhemajl Likaj missed a 17th-minute penalty with his side trailing 2-1. • Holders Italy qualified on Thursday and they rounded off their main round campaign with a 6-3 defeat of Poland. It was 3-3 at the break, but the Azzurri pulled away in the second period, Gabriel Lima registering twice to complete his hat-trick. • Belarus leapfrogged Finland into second place after beating the Nordic side 2-0, both goals coming in the second half. • Ukraine consigned Azerbaijan to the play-offs, prevailing 3-2 in Baku. A last-minute own goal from Ukraine's Serhiy Zhurba made for an exciting finish, but the hosts could not find the equaliser they needed to finish on top of the pile. • Third-placed Belgium – finals hosts in 2014 – took the lead after 38 seconds in a 5-3 success against Denmark. • Slovenia overcame the loss of goalkeeper Damir Puškar to injury in the warm-up to beat qualification rivals the Czech Republic, who took the lead, 3-1. • France got the better of Norway in the battle for third place. Réda Rabei was on target twice in a 3-1 win, his second goal a free-kick. • Franco Jelovčić's 34th-minute effort earned Croatia a 3-2 victory against Slovakia, who had recovered from 2-0 down in the winner-takes-all encounter. • A hat-trick from captain Cihan Özcan inspired Turkey to a 7-3 triumph over Armenia. • Kazakhstan's 4-0 defeat of Georgia earlier in the day meant Portugal had to beat Romania, who started the game as leaders, by three goals to top the section. Portugal 's 4-1 win only tells half the story, though. A quick-fire double from Ricardinho made it 3-0 by the 28-minute mark, but Alpar Csoma's strike soon after put Romania in pole position. However, Tiago Brito's shot with 72 seconds remaining sent Portugal through and pushed their opponents down to third. • Kazakhstan, who have never qualified, have a chance to do so via the play-offs. So too do Romania, after clinching a play-off berth as the best third-placed side in a section in which three teams finished on six points. Holders Italy were made to work by Finland but it was easier for Spain, Russia, Portugal and Ukraine as the main round opened on Wednesday with Croatia top scoring. 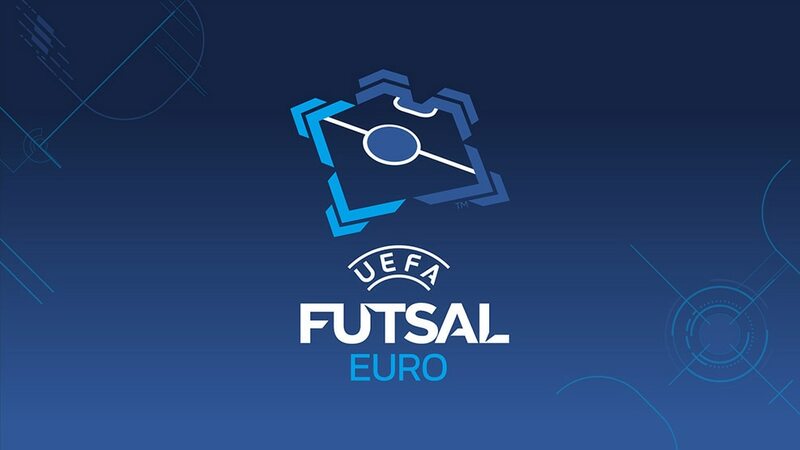 The UEFA Futsal EURO 2018 finals will be staged in Ljubljana, after Slovenia was selected ahead of FYR Macedonia and Romania by the UEFA Executive Committee.